Where you can be ONE in a million! Can you be ONE in a million? Friday-Saturday, April 26-27, 2019 - CLICK HERE for more information! You can help assist, support, and promote the MDB - CLICK HERE to find out how! Wear your MDB apparel proudly! Check out the all new online merchandise store for the MDB and Friends of the MDB! CLICK HERE to shop now for all your MDB apparel needs! 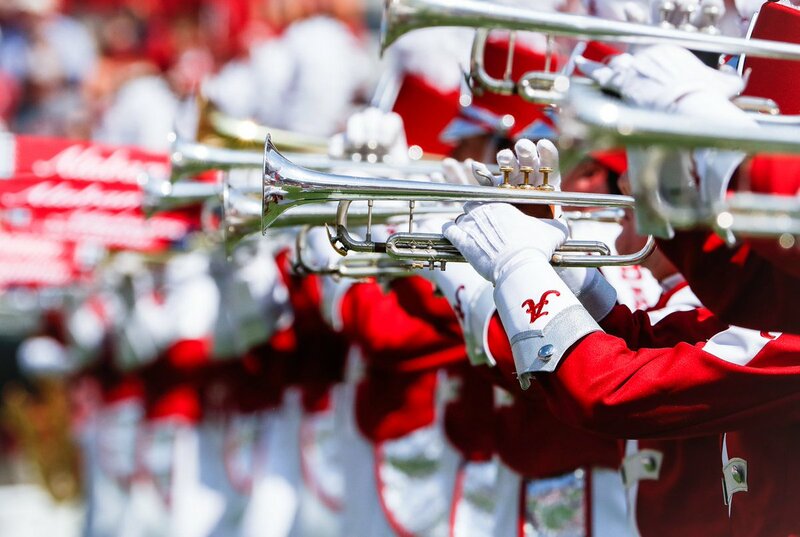 Performing in front of millions of fans each year, the Million Dollar Band has been a Crimson Tide tradition for 106 years. Saturdays at the Capstone would not be the same without the excitement provided by the 400 outstanding men and women of the Million Dollar Band, which is one of the most respected university marching bands in the country. The University of Alabama Band Department houses three large concert performance ensembles. 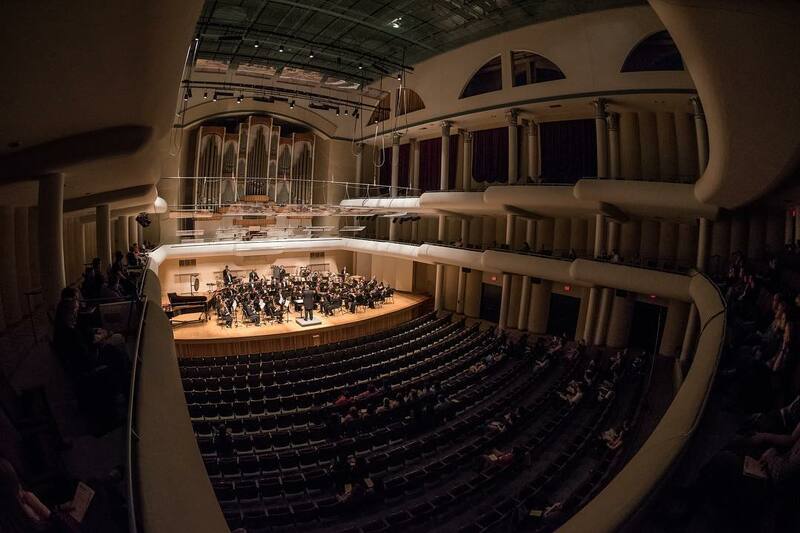 Each of the concert ensembles rehearses twice a week and performs two-three concerts per semester in the Moody Concert Hall. Enrollment in the ensembles is open to any full-time student at the University. Auditions are held at the beginning of the Fall semester in August. 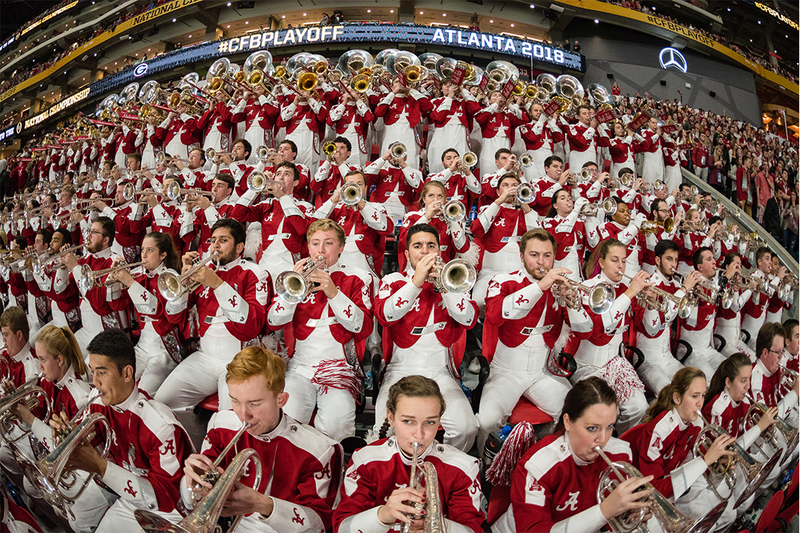 Athletic Pep Band ensembles include 90 of the top brass, woodwind, and drum-set performers at The University of Alabama. The band is divided into three 30-member ensembles that perform at all home men’s and women’s basketball games, gymnastics meets, select softball and baseball games, and select tennis matches. Auditions are held during the Fall semester.